It’s time for Africa, and Africa’s turn to bask in the global spotlight as the BRICS summit of emerging powers hosts an outreach meeting with the leaders of many African countries in Johannesburg this week. Ahead of the BRICS summit, the leaders of India and China will launch a “Charm Africa”, diplomatic mission, with both Prime Minister Narendra Modi and Chinese President Xi Jinping travelling to Rwanda, a landlocked country with not many resources, but full of can-do spirit to fashion the country’s destiny anew. Besides Rwanda, Modi will be visiting Uganda and South Africa and Xi Jinping will travel to Senegal, South Africa and Mauritius. “Racist” spin to attacks on Nigerians: Will it impact India-Africa ties? 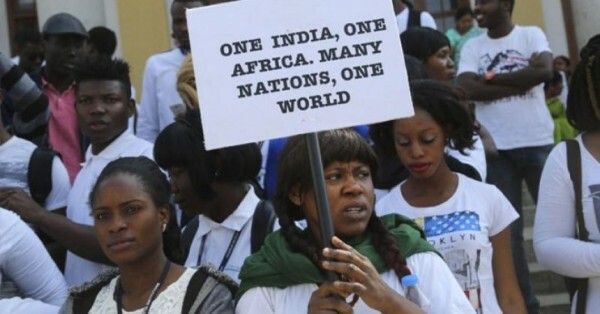 India’s burgeoning ties with Africa have come under strain with New Delhi-based African envoys calling for an international inquiry into recent brutal attacks on Nigerian students in a satellite town of the Indian capital. 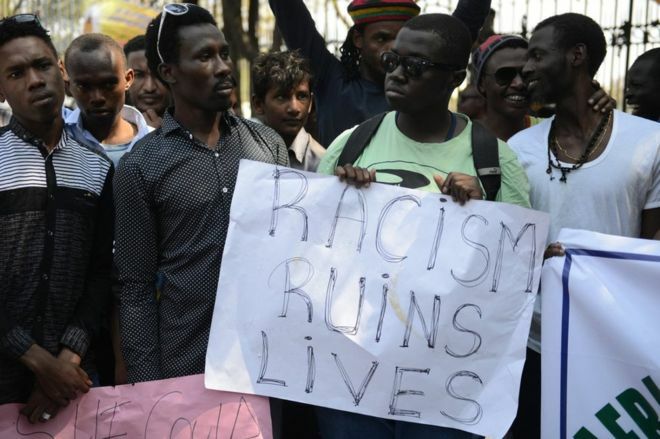 What is disturbing for India is that these attacks, which were the handiwork of some criminals and malcontents, have been described as “racist” and “xenophobic” by the African envoys, indicating that these were expressions of ingrained racist prejudice and hatred. In a strongly-worded statement, the Dean of African Heads of Mission said that the attacks were “xenophobic and racial” and that Indian authorities had failed to “sufficiently condemn” the attacks or take “visible deterring measures”. Sadly, these attacks on Africans have come at a time when India is looking to scale up its engagement with Africa across the spectrum. 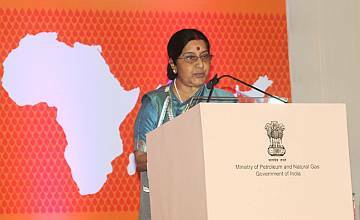 The last three years have seen a marked upswing in India-Africa relations, with India hosting the largest summit with the continent by inviting leaders and representatives of all 54 African countries to the third summit in New Delhi in October 2015. 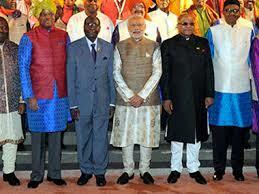 This period has also seen a record number of high-level visits to African countries from India, with the prime minister, president and vice-president visiting over 15 African countries. 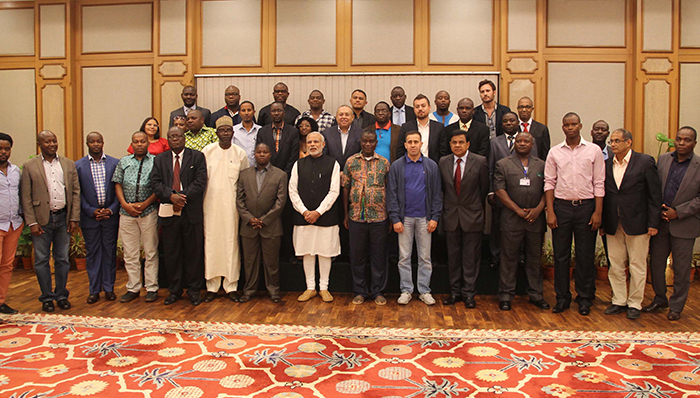 India-Africa trade has surpassed $70 billion, with more Indian companies looking to invest in the African opportunity. But, unfortunately, as these attacks on African nationals show, this visible across-the-board acceleration in India-Africa engagement has not translated into an appreciation and understanding of African culture, which has bred distorting stereotypes. Taking a long-range view, it’s necessary for both sides to invest more resources in sensitisation and building mutual popular goodwill if one wants to change the narrative of India-Africa relations on the ground. Nigeria’s India-educated President Muahammadu Buhari is an incorrigible optimist. He is not deterred by narratives of Afro-pessimism or Africa Rising?, sparked by plunging commodity prices and festering violence in swathes of the continent, but is determined to ensure that the rising of Nigeria is real and lasting. A few hundred kilometres away, Mali, ravaged by savage terrorism, is trying to script its own resurgence amid formidable challenges. Against this backdrop, Vice-President Hamid Ansari heads to Nigeria and Mali to chart new pathways of cooperation to aid ongoing national reconstruction in these two important partners of India in West Africa. 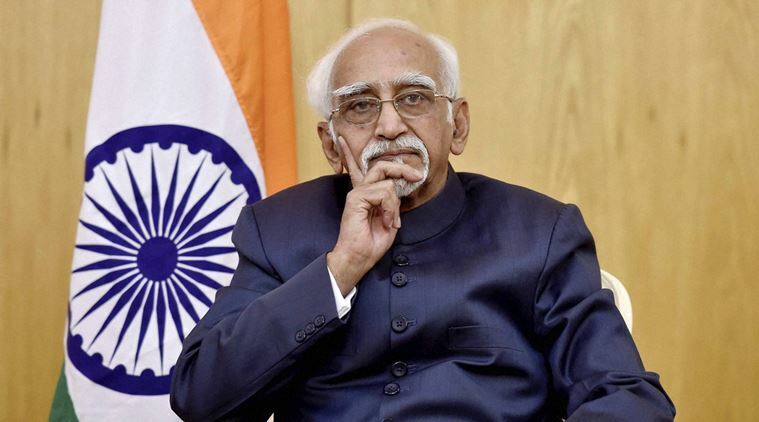 Mr Ansari’s visits to Nigeria and Mali (September 26-30) underscore India’s strategic design to expand its footprints in the West Africa region, which had not hitherto loomed high on India’s diplomatic canvas. Besides enhancing economic ties and development cooperation, the vice-president is expected to focus on imparting a strategic traction to India’s relations with Nigeria and Mali. Intensifying counter-terror cooperation will be on top of the agenda in both Abuja and Bamako. The vice-president will also be seeking support of Nigeria and Mali, members of the Organisation of Islamic Conference (OIC), which forms the diplomatic support base of Pakistan on the Kashmir issue, for India’s campaign to isolate Pakistan in the wake of the terror attack in north Kashmir that killed 18 Indian soldiers. China’s growing economic presence in West Africa is another strategic imperative for India to raise its game in the region. With a growing convergence of economic and strategic interests, India’s outreach to West Africa and the African continent is set to acquire a new narrative and resonance in days to come. 2016 is set to be the year of Africa for India’s diplomacy, with Narendra Modi heading on the first-ever four-nation tour by an Indian prime minister to the continental Africa in decades. PM Modi’s visit, preceded by President Pranab Mukherjee’s visits to Ghana, Cote D’Ivoire and Namibia and Vice-President Hamid Ansari’s trips to Morocco and Tunisia, has raised the bar for India’s diplomatic outreach to Africa, and underscores the emergence of the resurgent continent as an important pole in the country’s foreign policy calculus. The clichéd narrative of competition and rivalry between India and China in Africa is a tad overplayed as the two Asian powers have different core strengths and models of engaging Africa. 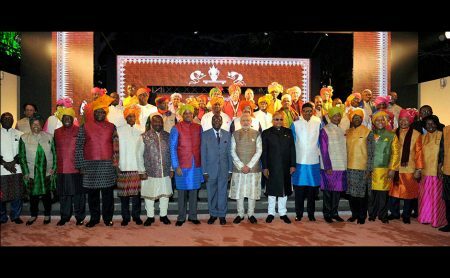 India can’t possibly surpass China in terms of trade volumes in the near term, but Modi’s visit to the four African countries is meant to signal that India is raising the game and is ready to match its rhetoric with resources and core strengths to expand and transform a mutually empowering partnership with the renascent continent.